Avant Garde's Miami Hair Color Gallery! 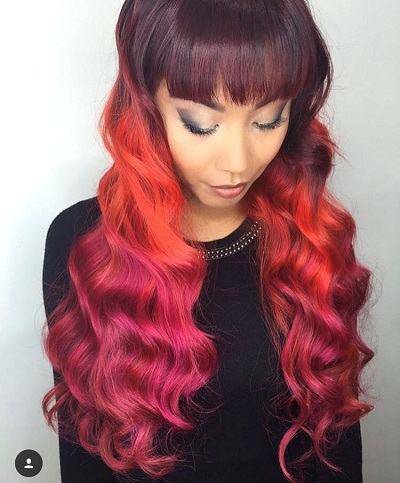 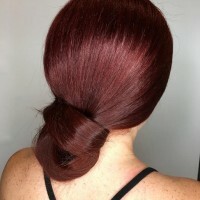 At Avant Garde Salon and Spa we LOVE hair colors. 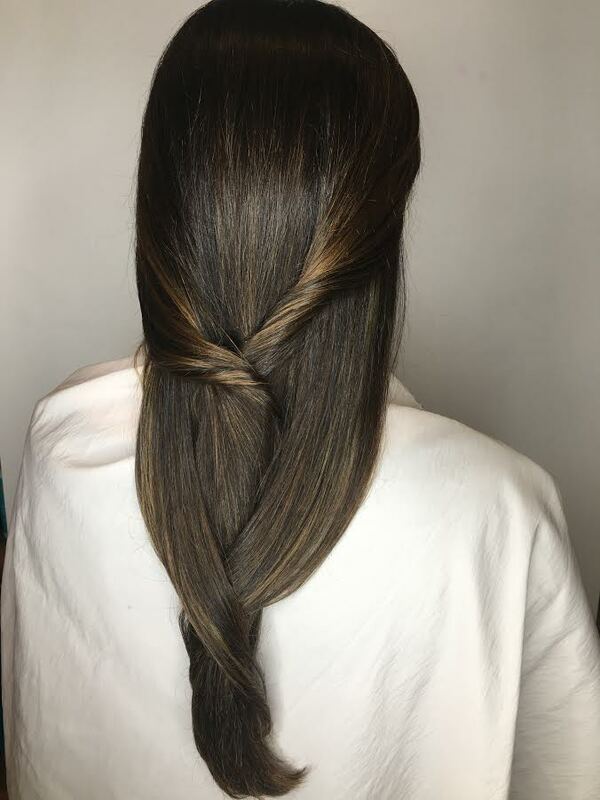 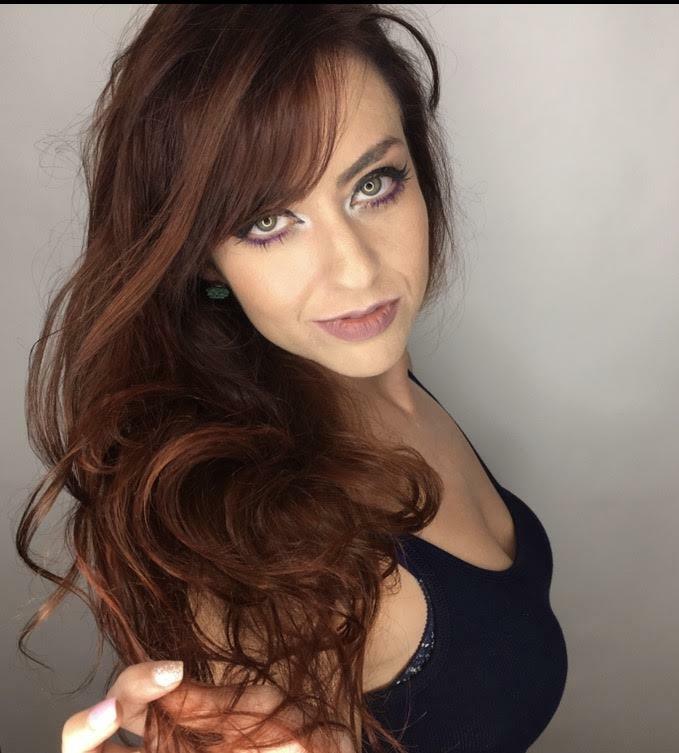 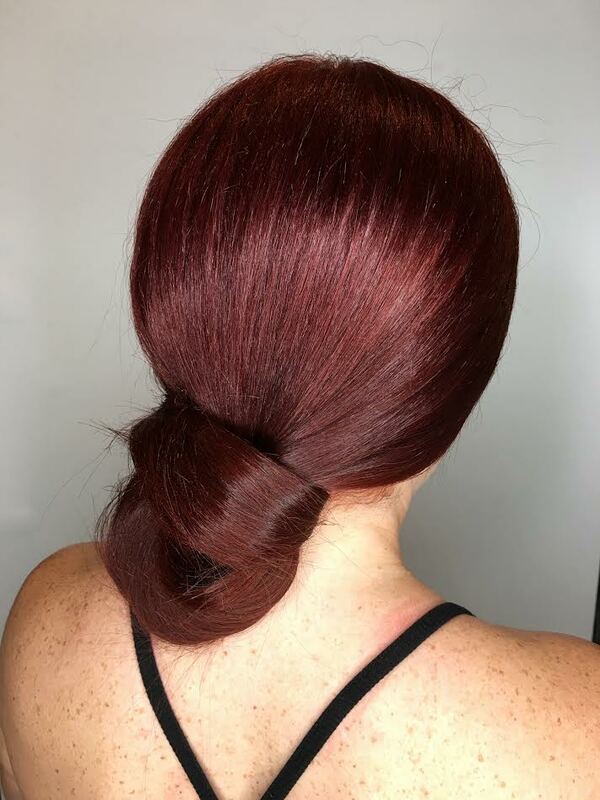 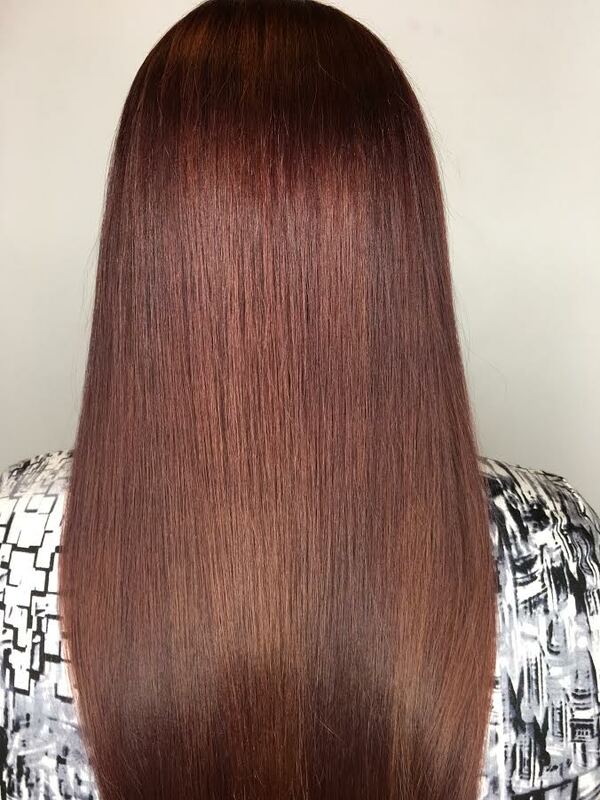 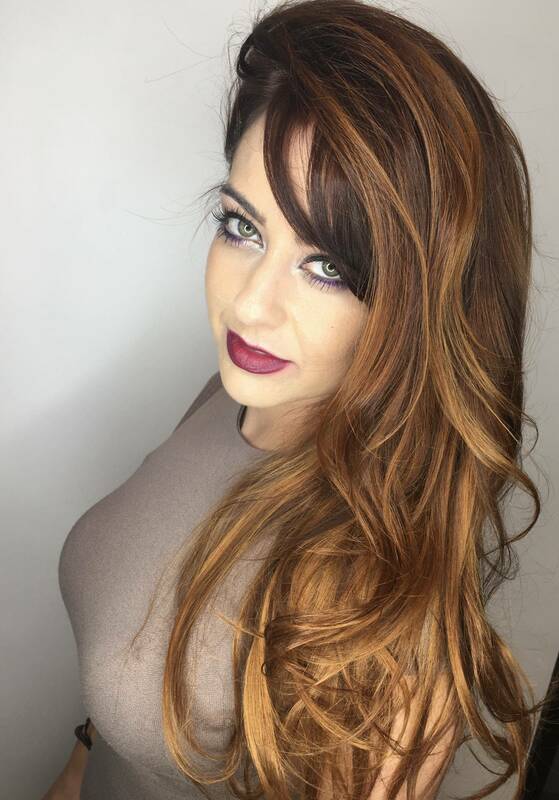 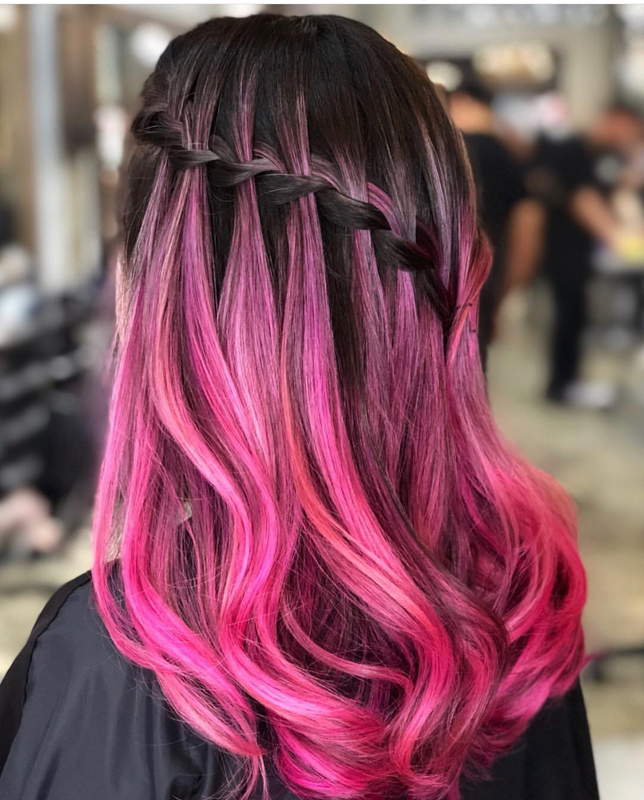 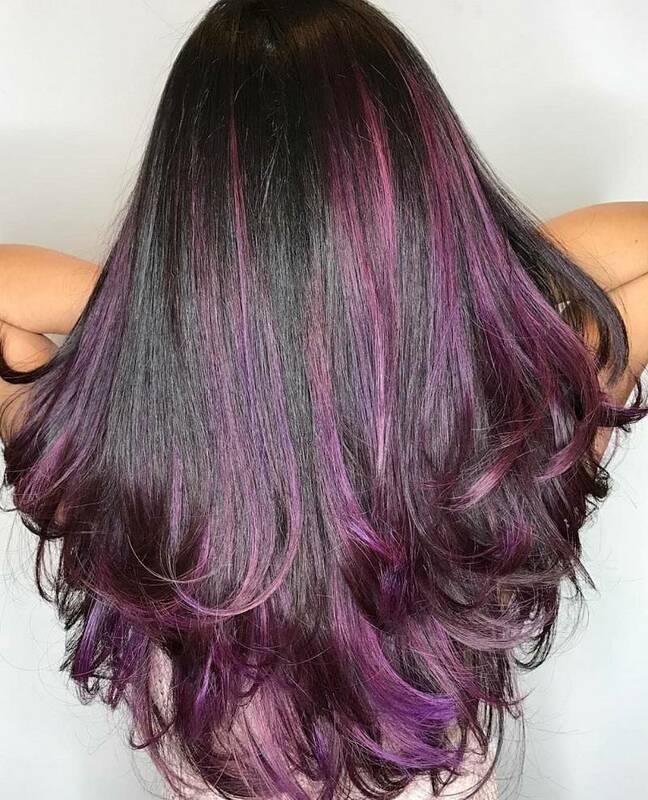 Our hair coloring specialist take pride on always knowing the latest trends and mastering the techniques. 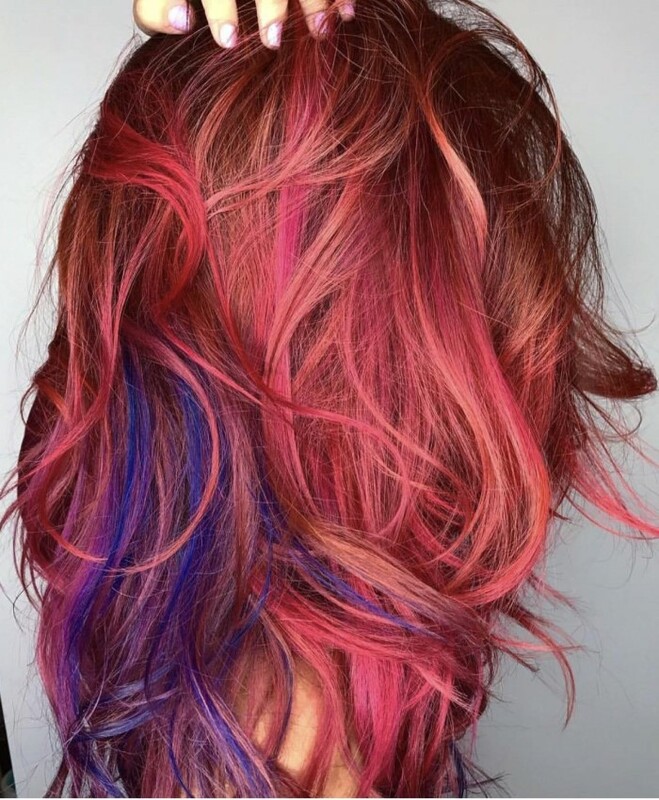 Want to see the latest trends for hair coloring? 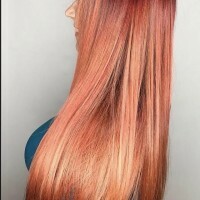 Want to see different hair color styles to get ideas? Ombre, Balayage, Babylights or a Foilyage! There are various Types of Hair Lightening and painted by hand. 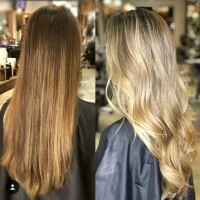 Depending on how light you desire to have your hair, will determine the best hair painting technique. 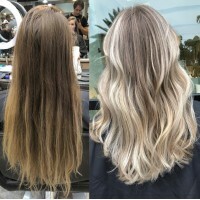 Our Color Specialists can recommend the best hair coloring and coloring technique for your hair. 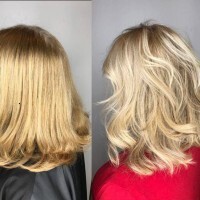 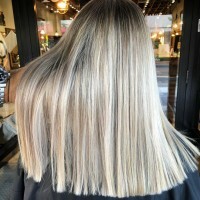 To create the best possible hair looks our experienced hair stylists incorporate a few hair coloring techniques. 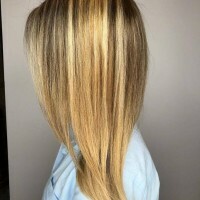 There are various Types of Hair Coloring techniques. 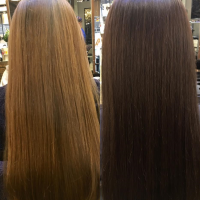 Hair coloring (hair dyeing), is the process of changing hair color. 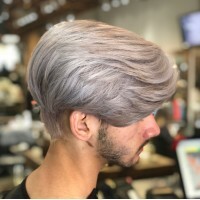 Most times hair is colored to cover gray & white hair. 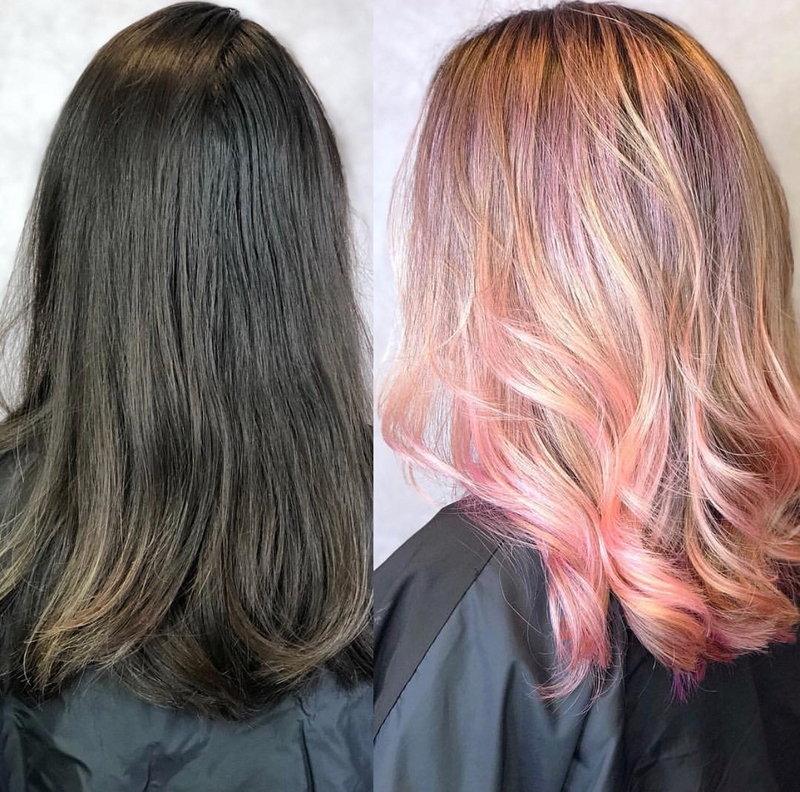 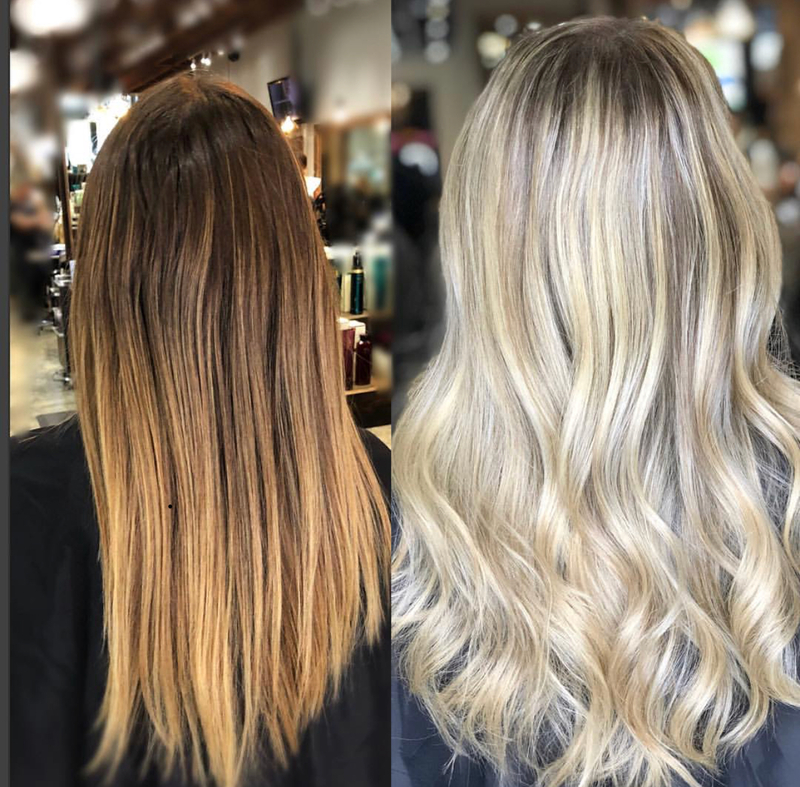 Other reasons for hair coloring may be to follow a color trends, fashion, special occasions & to restore original hair color after being discolored & desire a color correction. 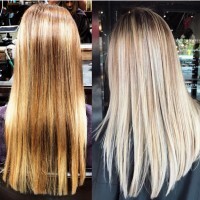 There are various Types of Hair Highlights and Hair Lowlights. 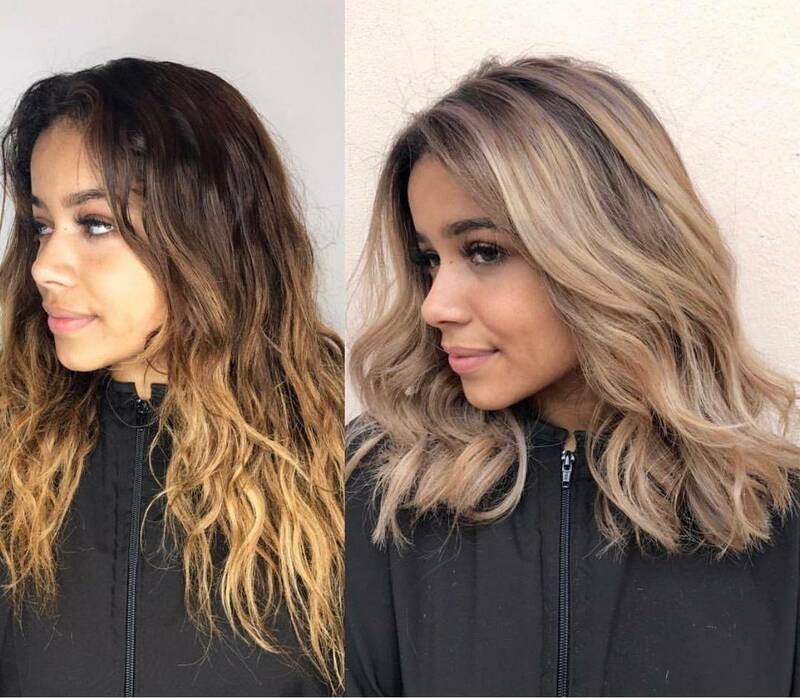 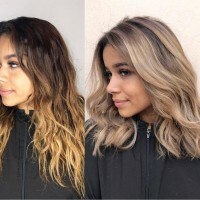 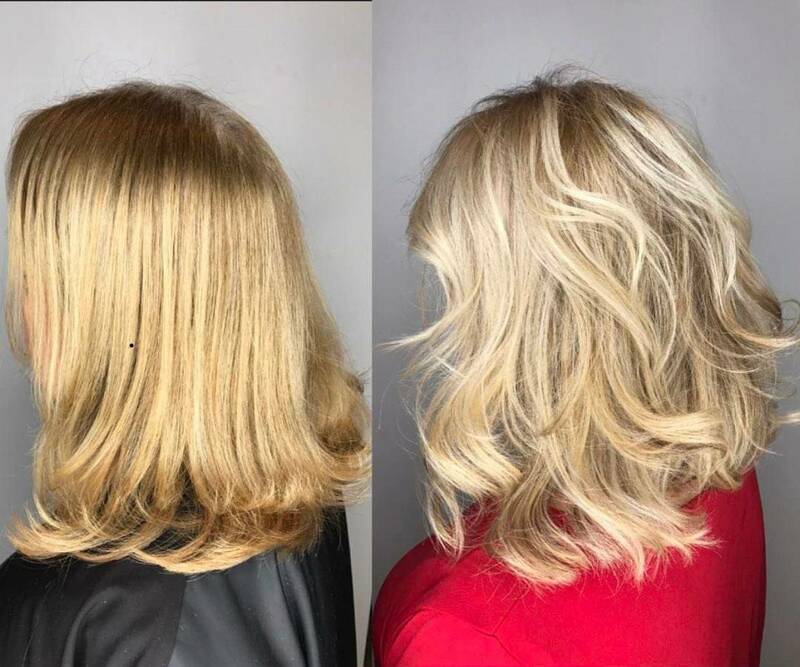 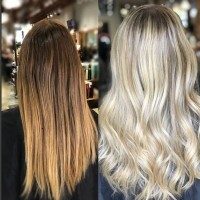 Highlights and Lowlights is the process of changing either sections of hair or completely changing the hair color to lighter color and hair strands using hair lighteners. 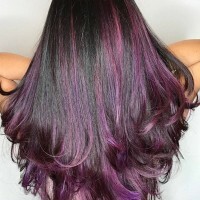 Hair Highlights can be done in natural hair tones as well as unnatural hair colors like pink, blue or other funky color. 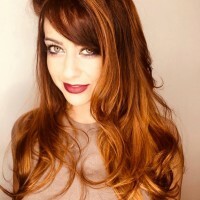 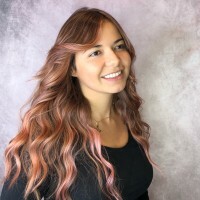 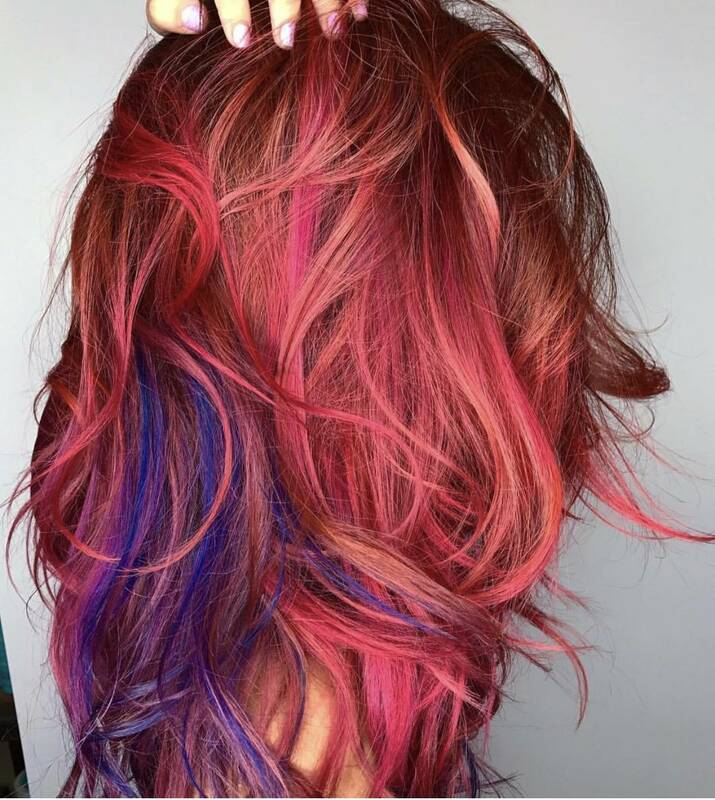 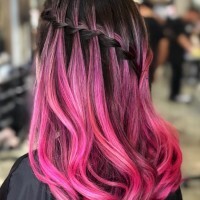 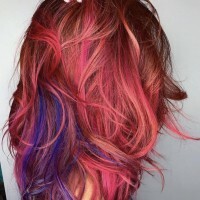 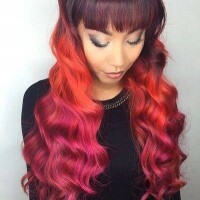 There are various Types of Funky Hair Color techniques. Funky hair coloring is the process of changing either sections of hair or completely changing the hair color to one or more unnatural hair colors. 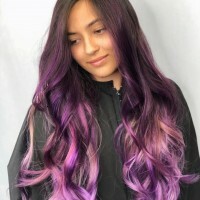 Examples of funky color hair dyes are: purple, green, blue and any color and shade that you wouldn't normally see as a natuaral hair color. 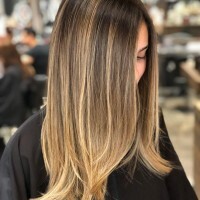 What is a Balayage hair color style? 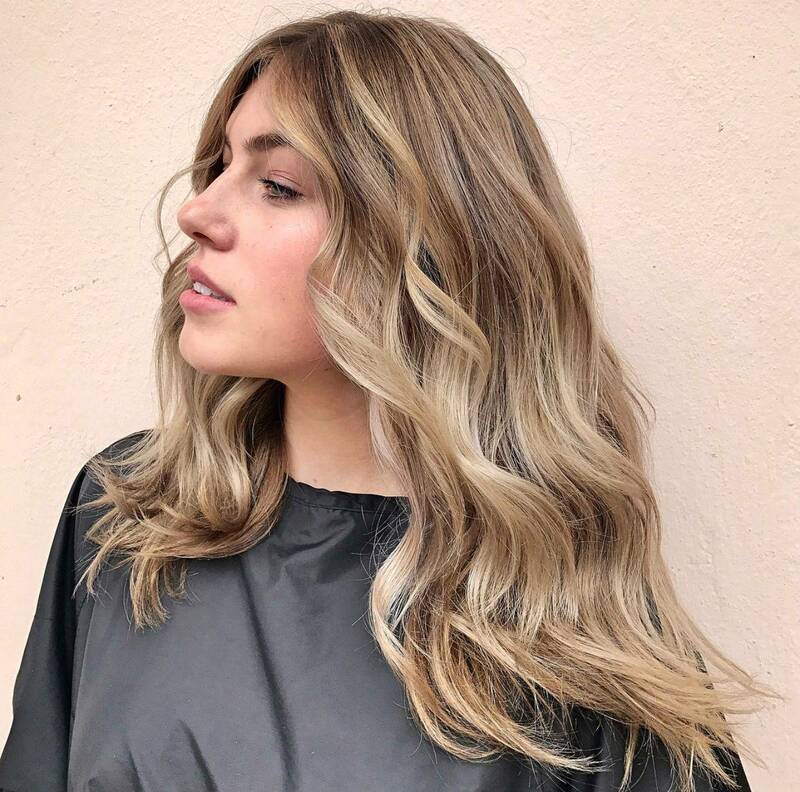 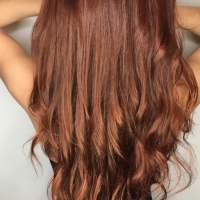 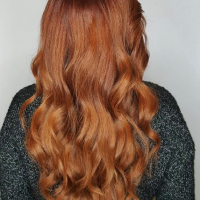 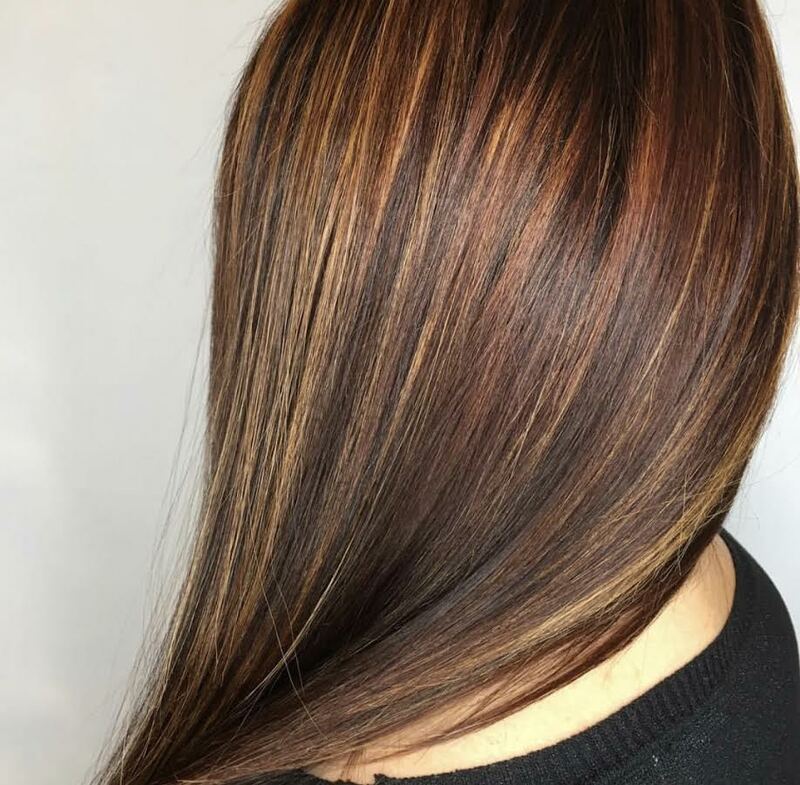 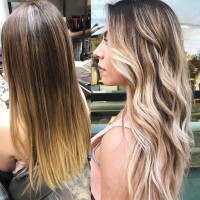 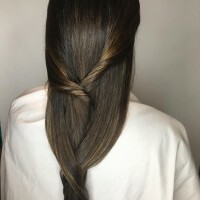 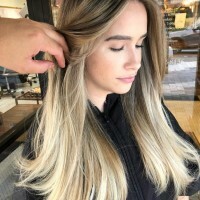 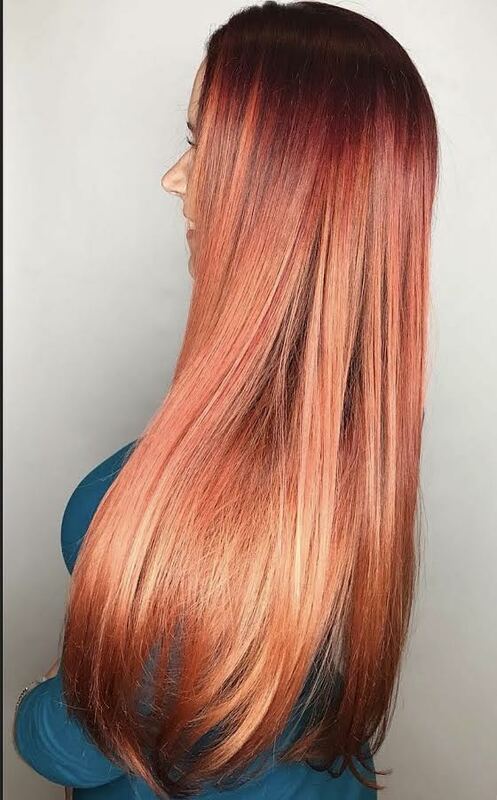 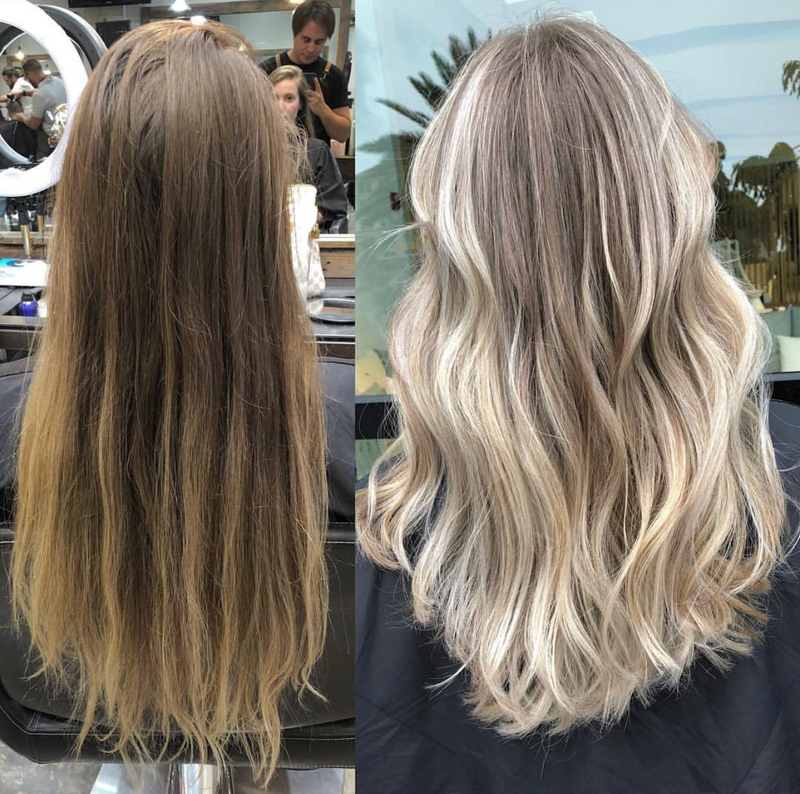 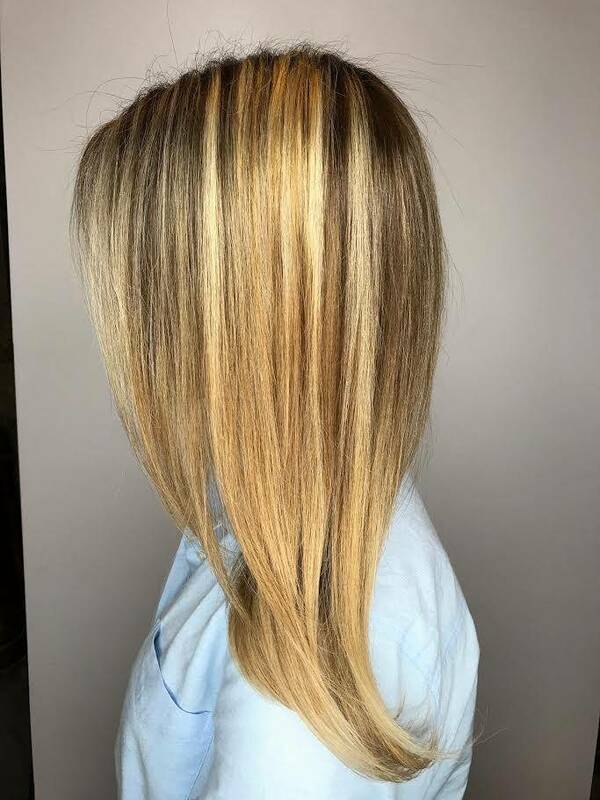 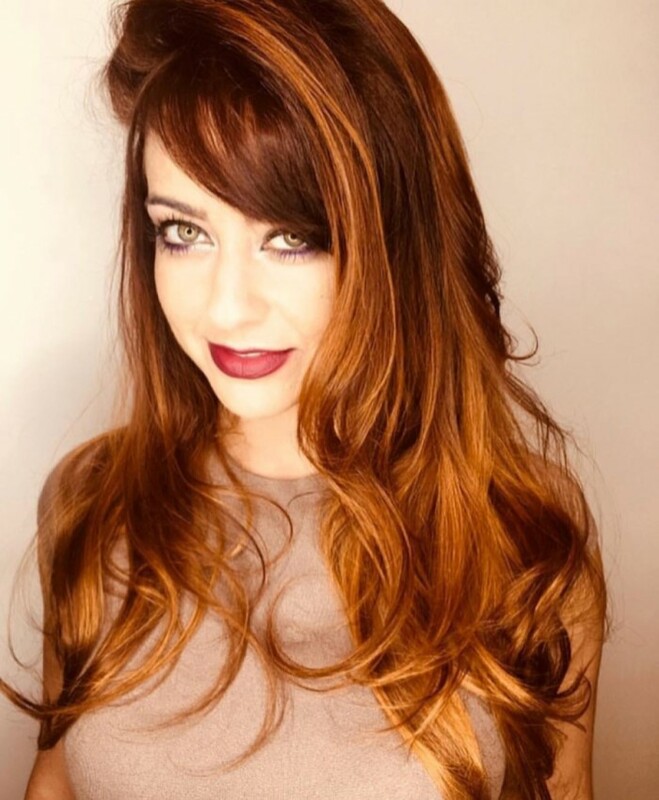 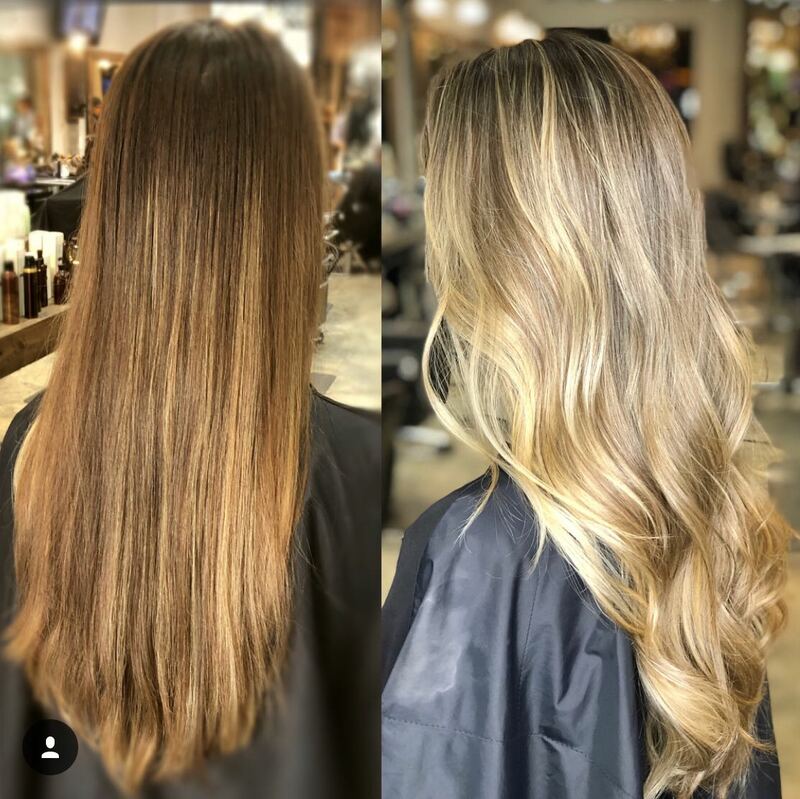 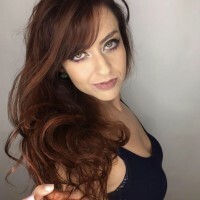 Balayage hair color is a hair technique initially starting in France, Hairstylists apply hair coloring by a sweeping technique painting on your hair. 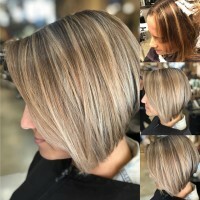 Rather than using foil like traditional highlights, no foil is used. 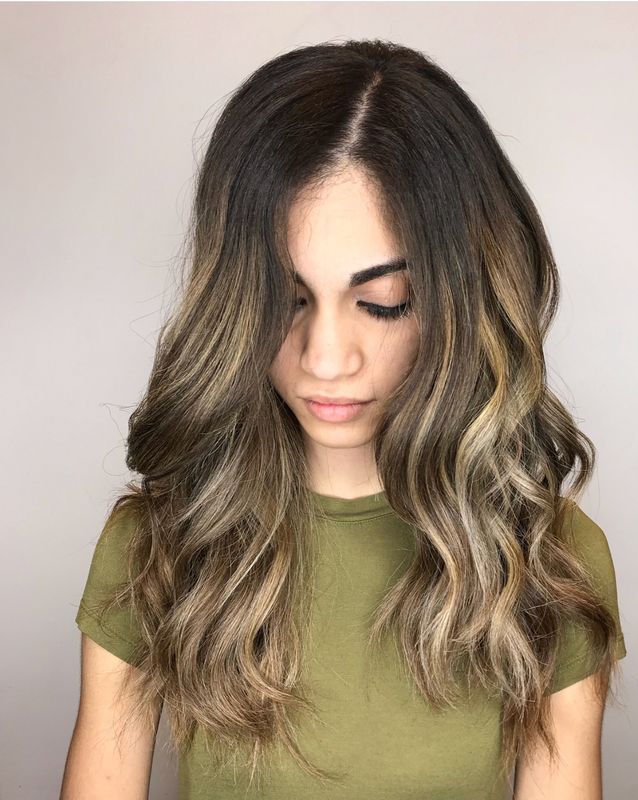 The styling effect allows for less needed maintenance since a Balayage does not follow highlighted hair lines like regular highlights. 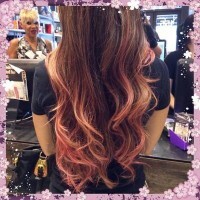 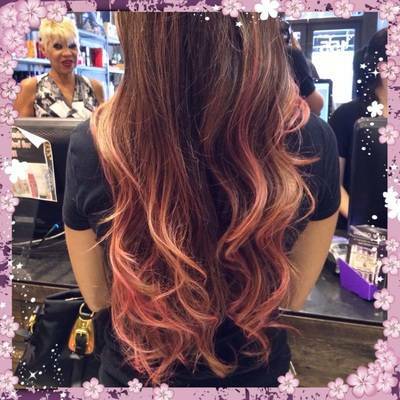 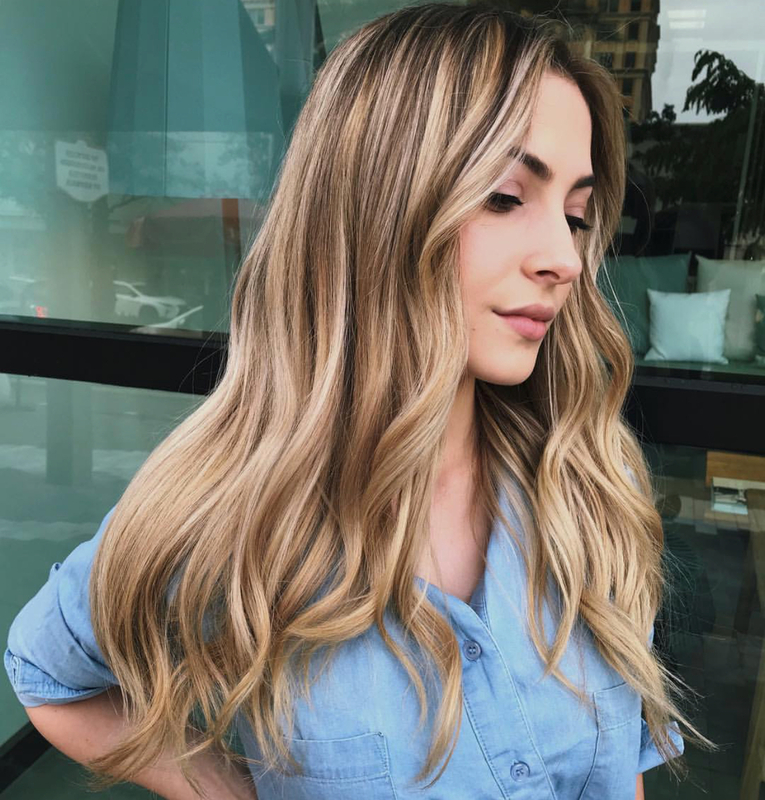 What is an Ombre hair color style? 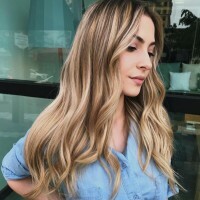 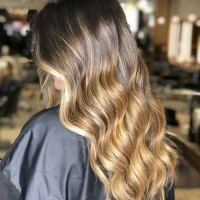 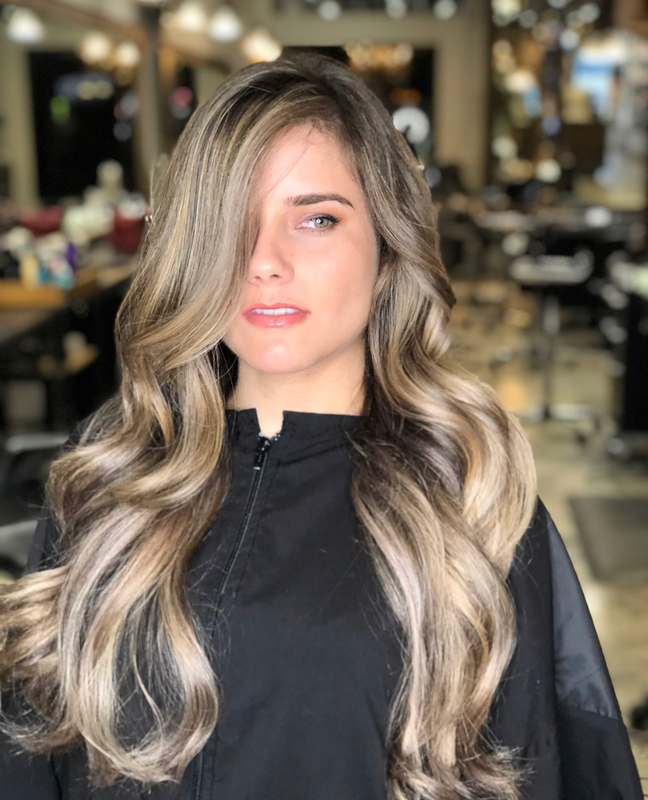 Ombre hair color is similar to a Balayage but instead of a sun-kissed highlights look, it is a transition of a lighter hair shade from a darker shade of the color. 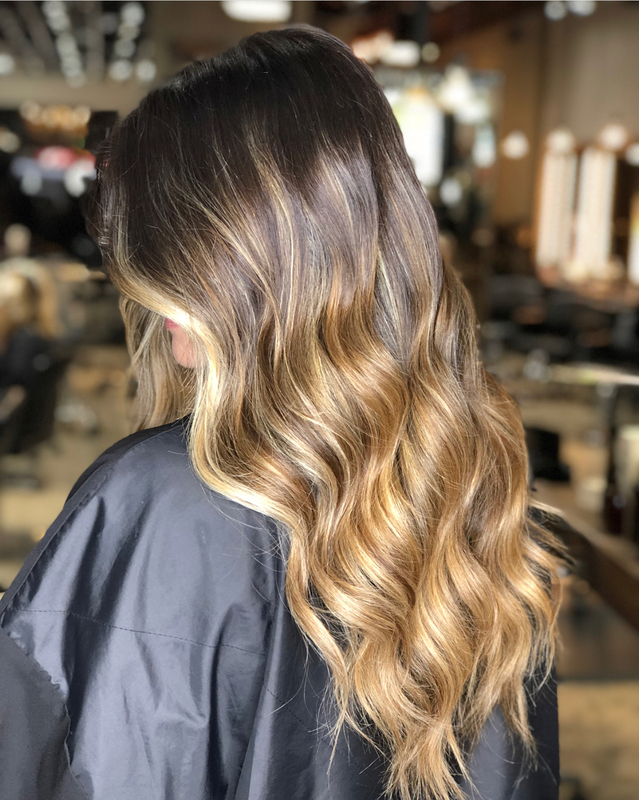 Ombre comes from the French word: shadow. 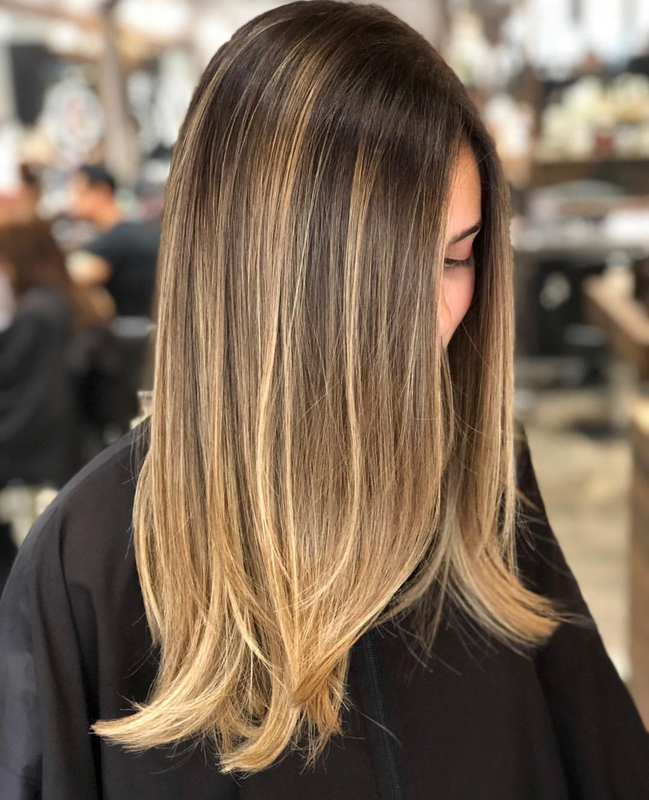 Unlike a Balayage, with an Ombre there are no dark pieces of hair or undone areas on the bottom to look more natural, instead the color/shade fully transition between the colors to the ends. There are many variations of hair highlights and can be done to lighten your hair or highlight in other colors. 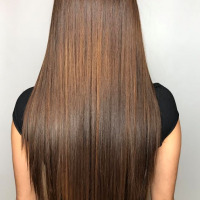 What is a Hair Foilyage? 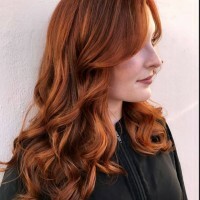 What is a Foilyage hair color style? 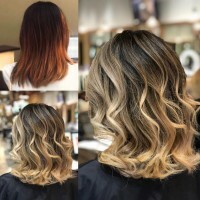 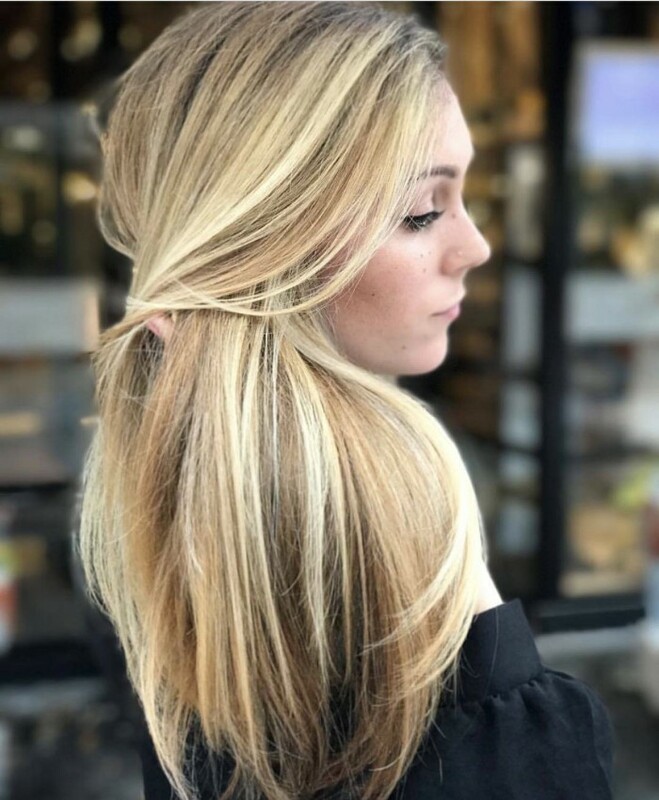 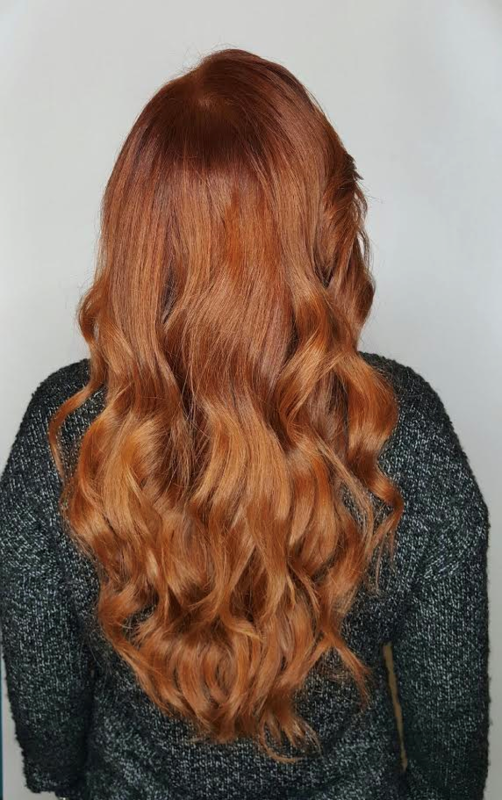 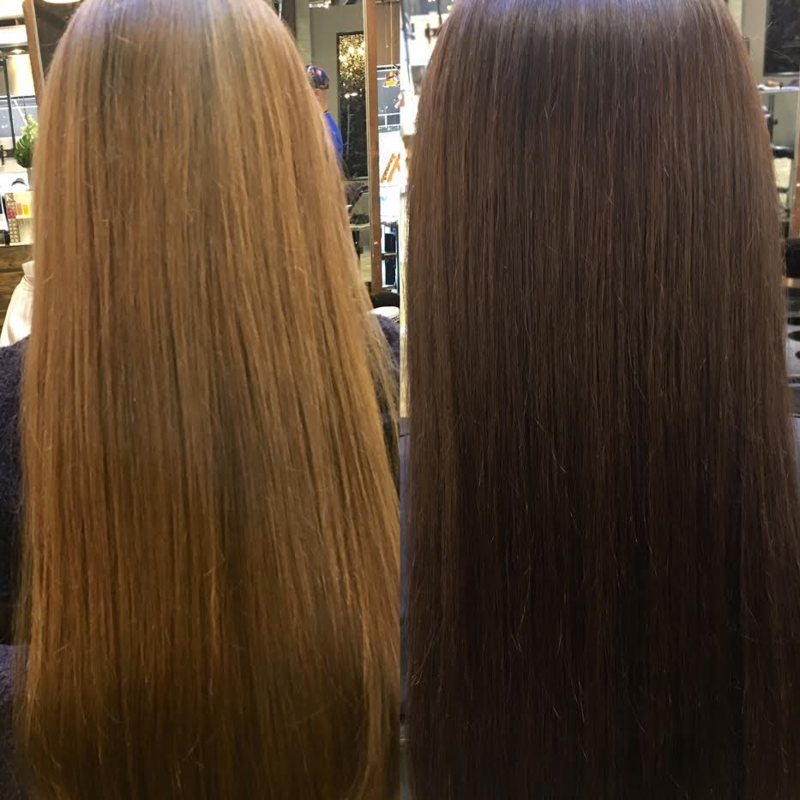 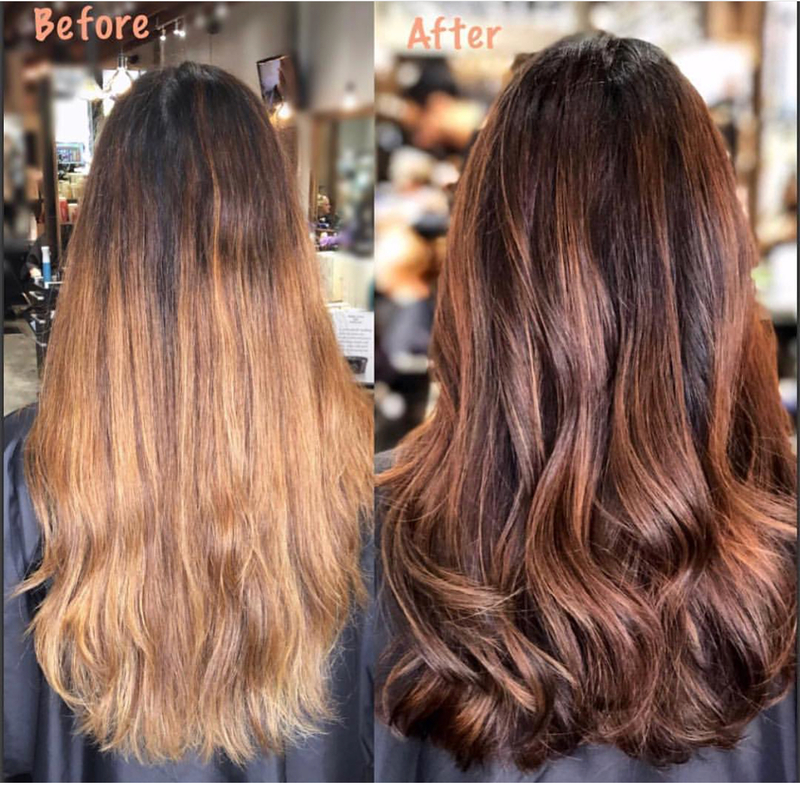 Foilyage is a hair technique similar to the Balayage, Hairstylists apply hair coloring by a sweeping technique, painting on your hair. Then like traditional hair highlights, sections of hair are wrapped in foil. 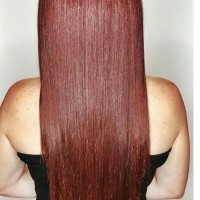 Once all hair sections are wrapped, heat is applied, causing the overall hair color is uplifted and lighter. 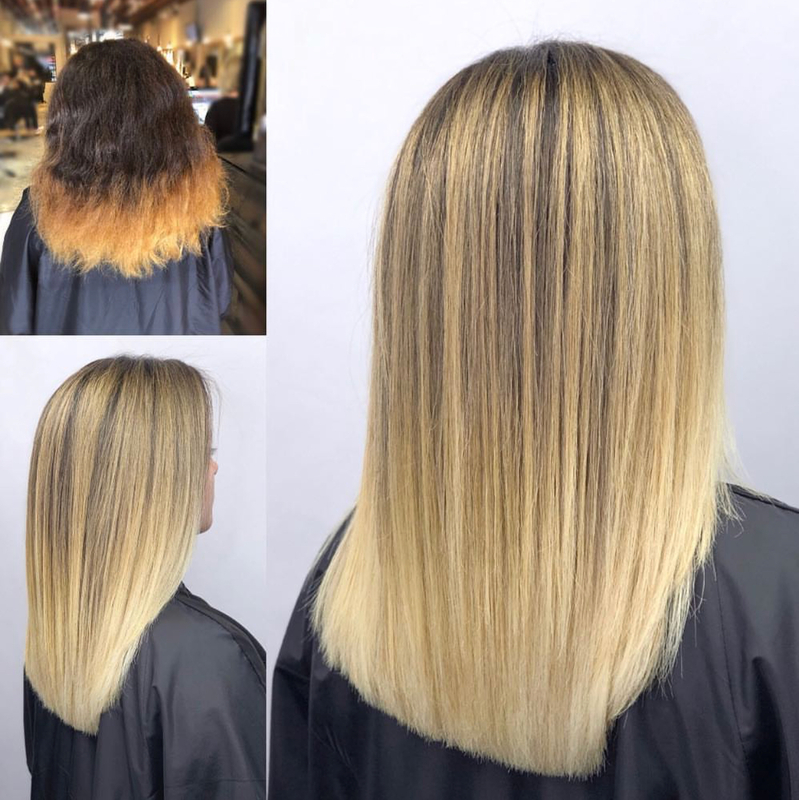 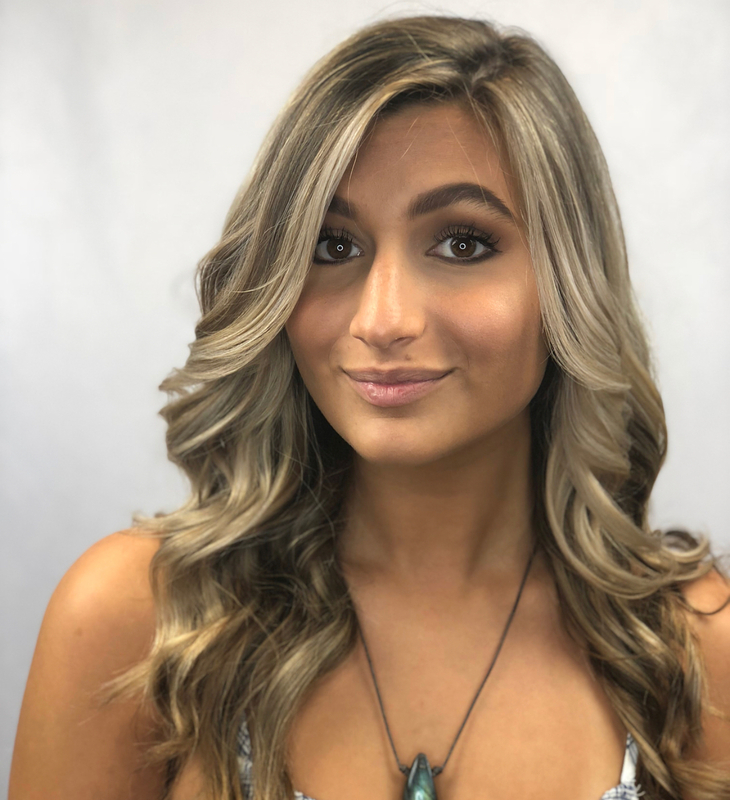 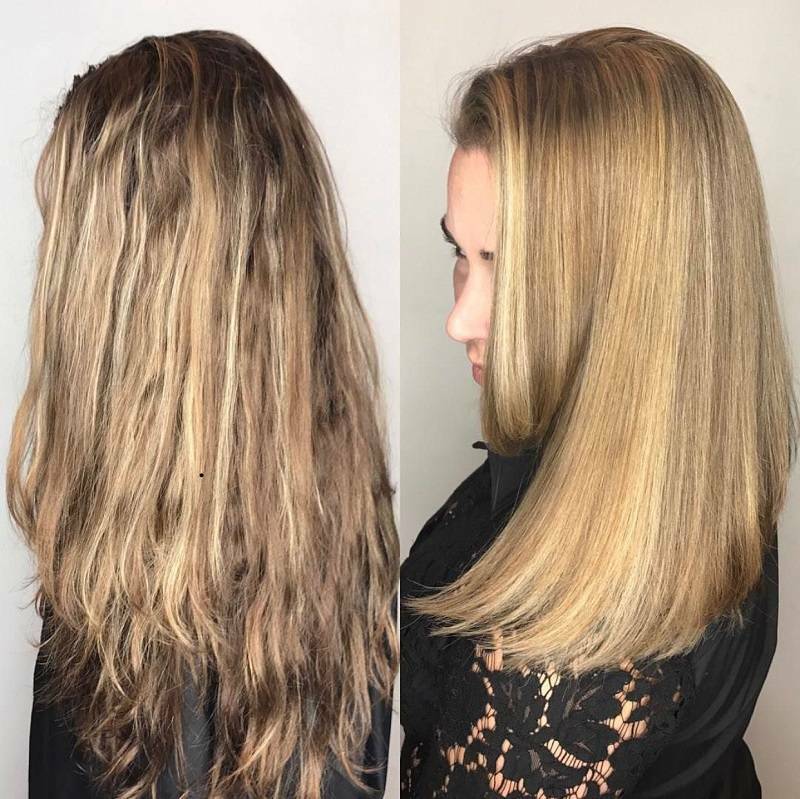 The styling effect allows for less needed maintenance since a Foilyage like a Balayage does not follow highlighted hair lines like regular highlights. 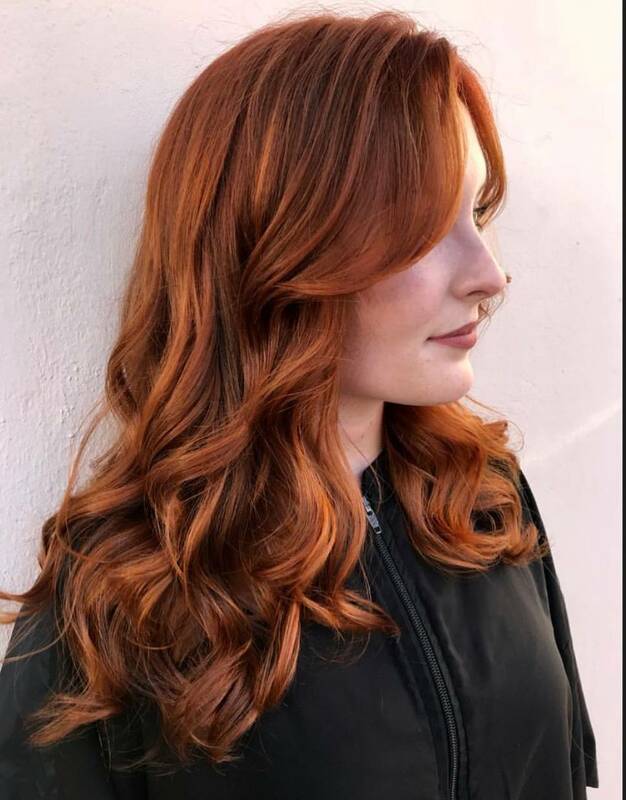 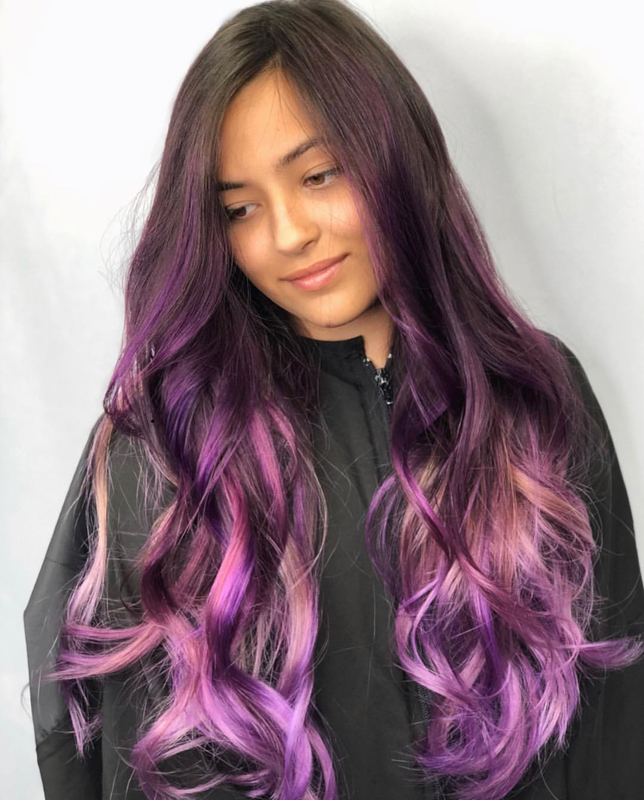 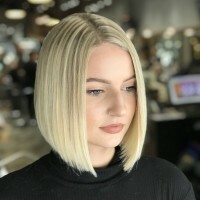 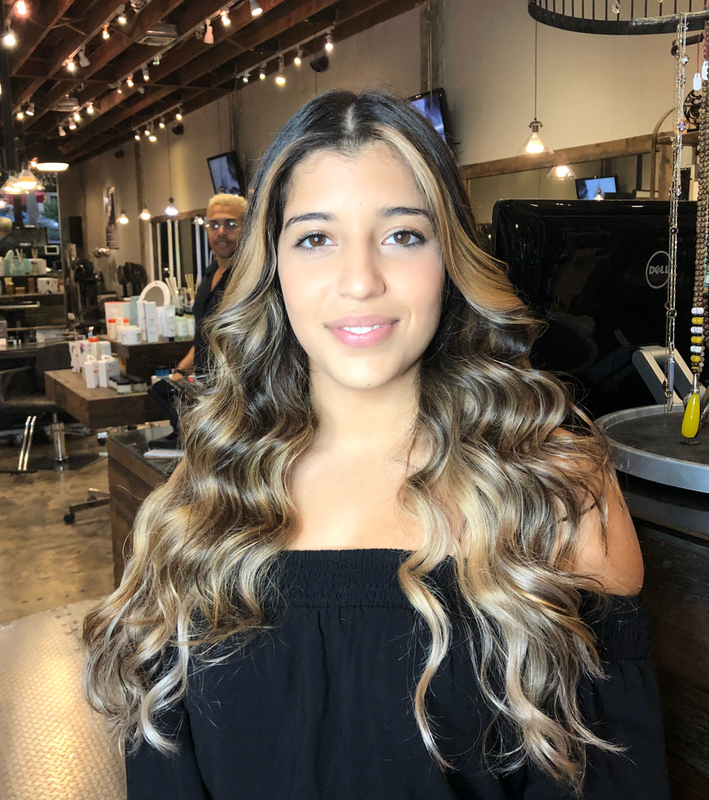 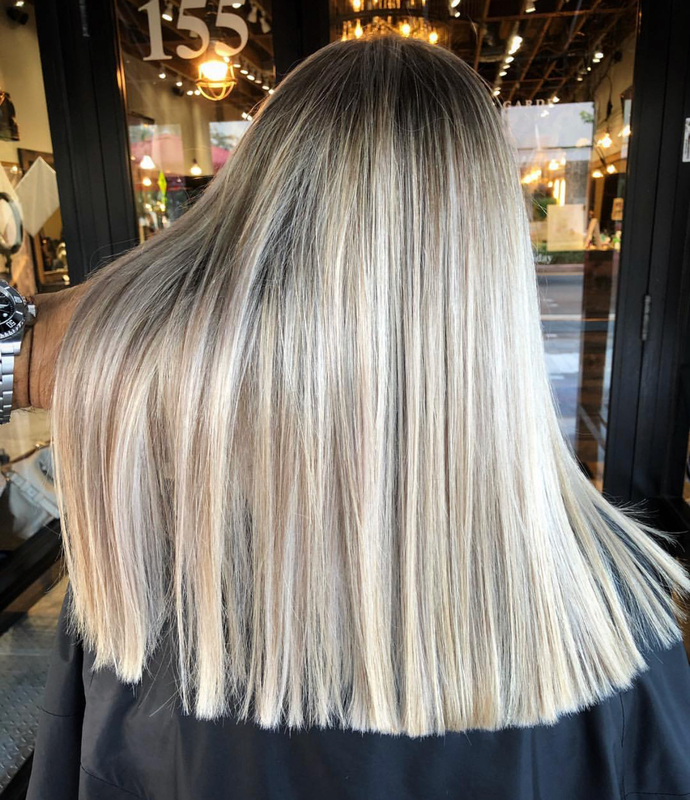 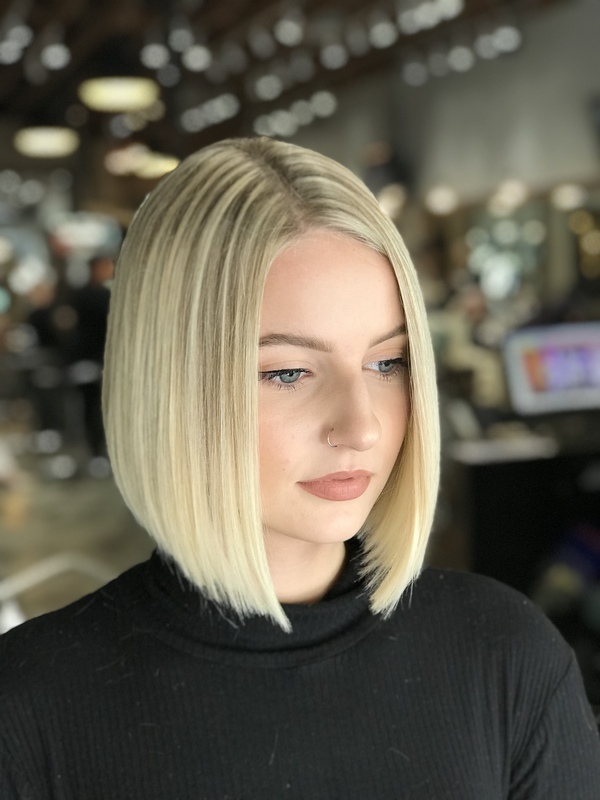 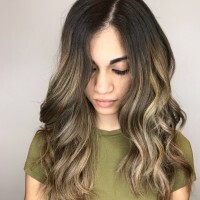 Avant-Garde Salon is best hair color salon with many different types of highlights available as well as styled highlights like Balayage and Babylights. 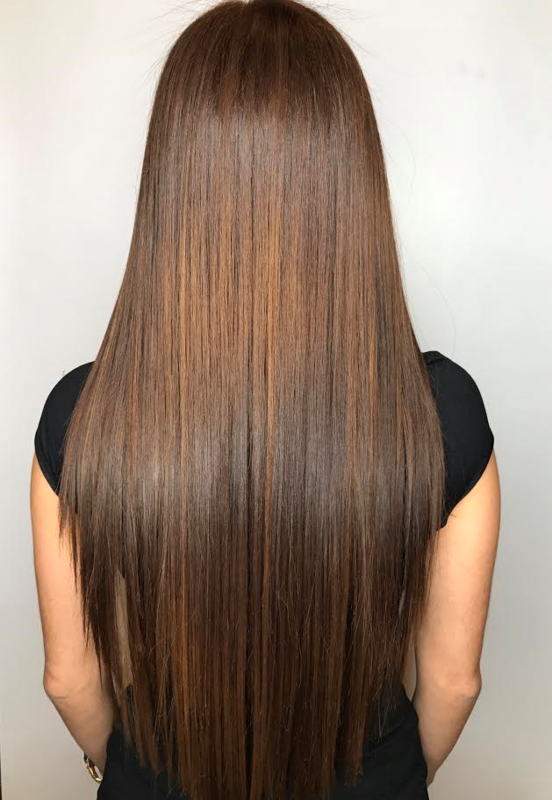 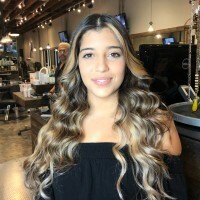 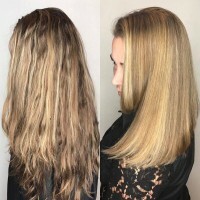 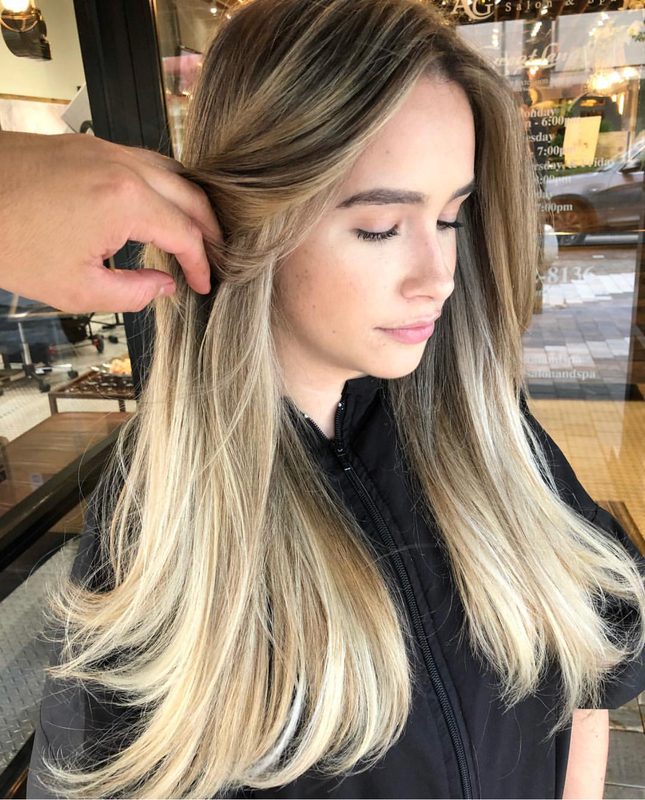 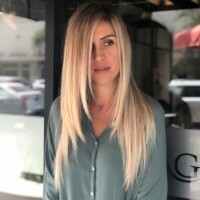 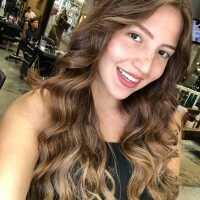 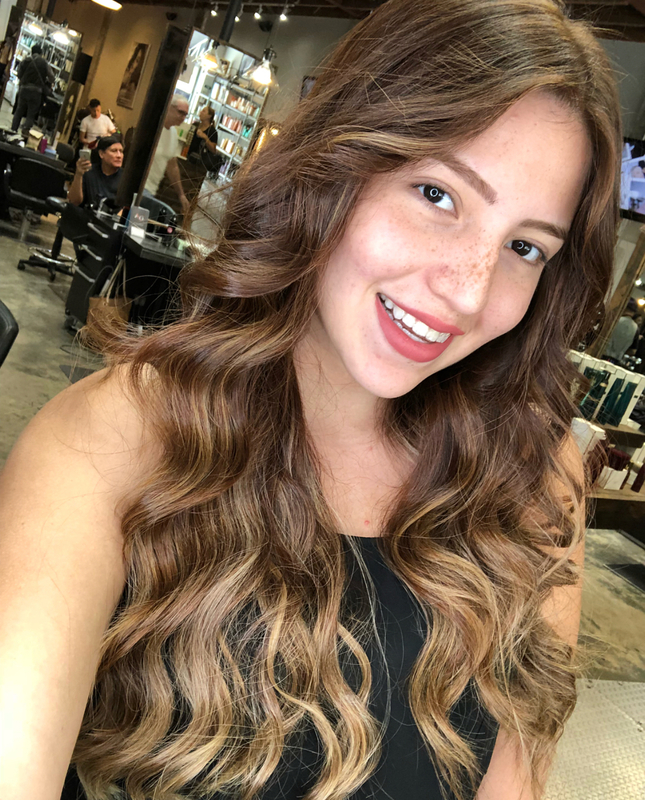 Get a Hair balayage Miami by best balayage Miami Salon. Get lighter, uplifted balayage by getting a Foilyage. 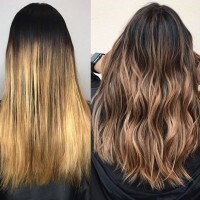 Learn the difference between a full balayage vs partial balayage or a half balayage vs full balayage and learn what is a partial balayage. Whether looking for ombre highlights, full hair highlights, mermaid hair color our Color Specialists can make your dream come true. Want to keep it simple? 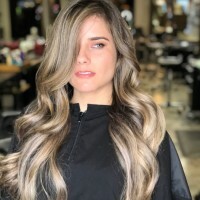 Our color experts can match your hair colour or favorite hair color and get funky hair colours, partial hair color or a single process hair color. 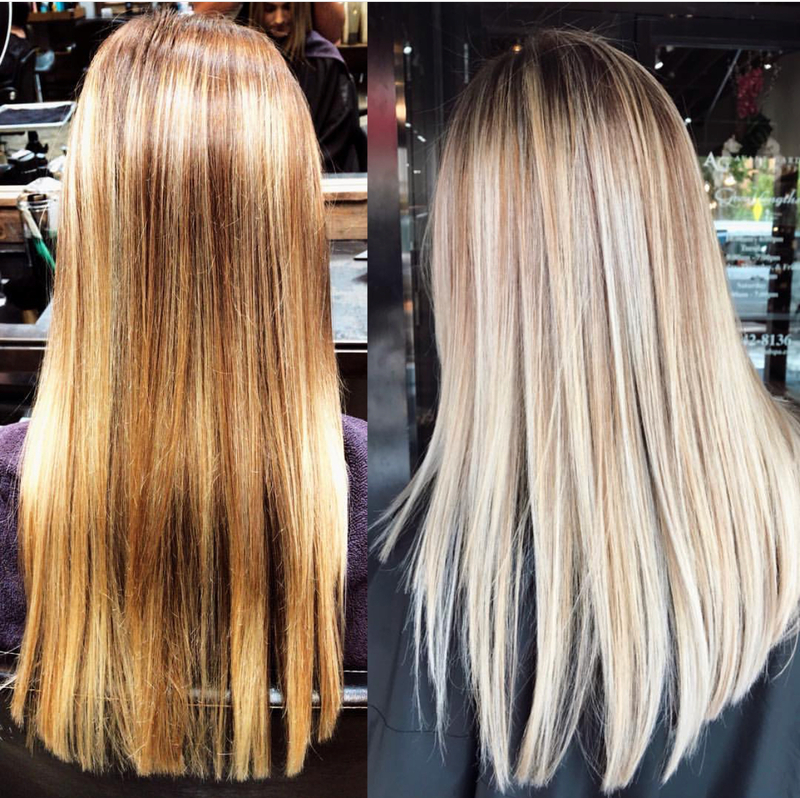 Let our hair experts explain and recommend the best hair color and color techniques. 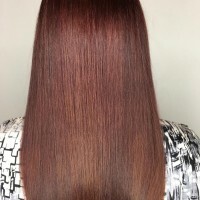 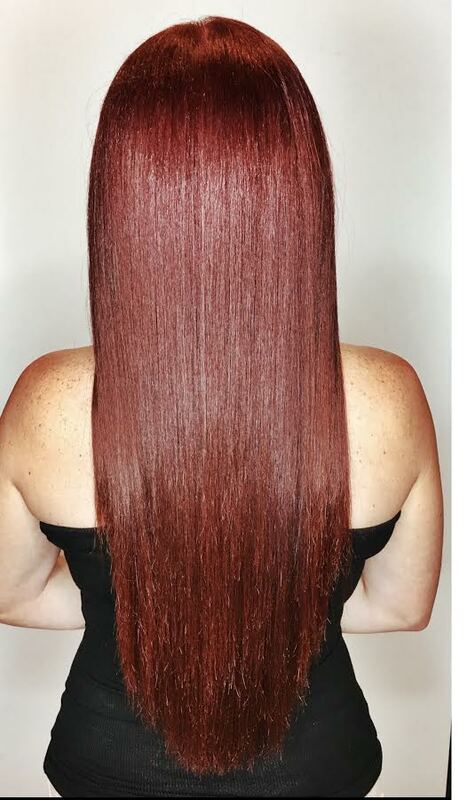 Learn what is single process hair color, partial hair and hair line coloring for roots.